Tour the world in 70 minutes with this package of 7 great films from Canada, the US, France, Germany, Israel, Australia and New Zealand. These docs, comedies, and dramas are suitable for school children aged 10+ and adults. Check them out now before they screen at the 7th Reel Shorts Film Festival May 1-5, 2013. The foreign-language films (German and Hebrew) have English subtitles. A delightful doc about Gary Frank Skaggs, a musician who wanted to play a piano in the streets of San Francisco so he invented a bizarrely funky way to do it. Won Audience Choice Awards at the 2011 GSP Film Festival. An 11-year-old boy is kidnapped by a classmate who has a crush on him in this sweet story of captivity and freedom. 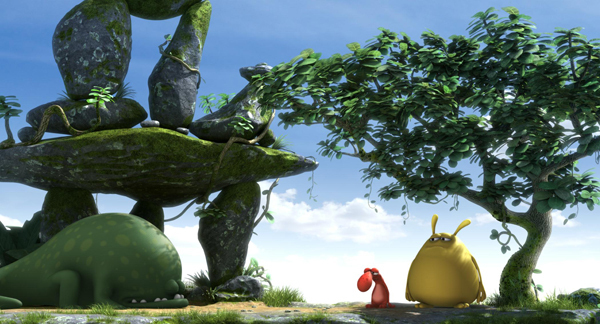 Won Audience Award Childrenâ€™s Film at the 2012 Landshuter Kurzfilmfestival in Germany among other awards. The director of Despicable Me creates a supremely silly tale of misadventure as two friends, stuck for something to do, find it increasingly difficult to get unstuck. A poignant and humorous account of the filmmakerâ€™s experience as a boy in 1983 when kids whoâ€™d been taught anti-Semitism and Holocaust denial at their school in Eckville, Alberta are invited to a basketball game against his team at Jewish summer camp. Won Most Inspirational Short Film at the 2012 Reel 2 Real International Film Festival for Youth in Vancouver.